How Can We Advocate For Community-Engaged Artists? On October 14, three panelists, Robin Pacific, Artist and Co-Founder of Art Starts, Andrew Suri, Community Arts Officer at the Toronto Arts Council, and Nadira Pattison, Arts Services Manager at the City of Toronto Cultural Services, shared their perspectives on arts advocacy at the Buddies in Bad Times Theatre. 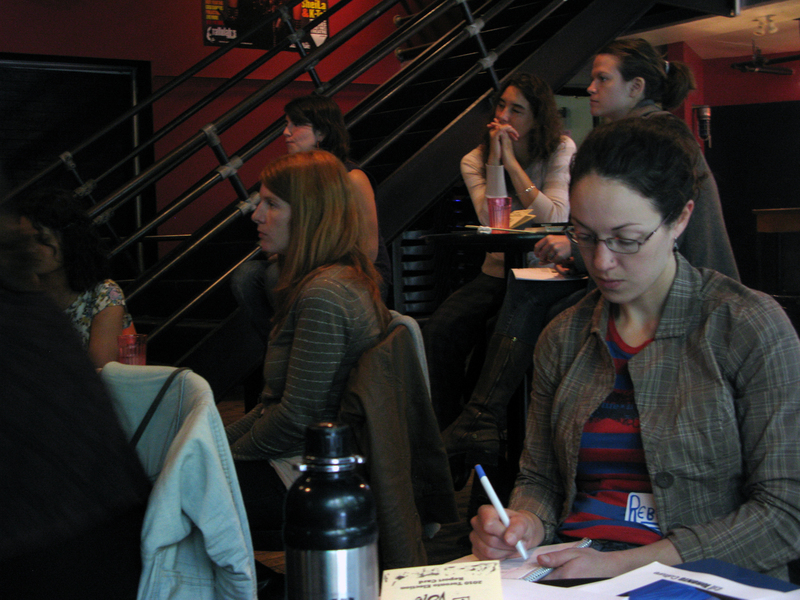 The turnout was great on a cold, rainy day, and individual artists and members of organizations such as Arts for Children and Youth, Scarborough Arts Council, Ontario Arts Council, MABELLEarts, & Jumblies Theatre came together to discuss how we might defend, maintain, support, and promote community-engaged artists in Toronto. Robin Pacific, co-founder of Art Starts, a storefront community arts centre that uses the arts to help build healthy communities, says that we need to ‘speak to people’s higher natures’ when advocating for community arts. There was a question and answer session that ranged from topics such as bringing community arts to rural communities in Ontario, advocating to city counselors, politics of the field, and individual art-making versus community arts. Cheers to good sushi and networking for Neighbourhood Arts Network members! The Federation of Arts Councils and Cultural Agencies has put together a toolkit that has practical tips and strategies for arts advocates. To download the PDF version for free, click here. Remember to vote for the upcoming election on October 25! Arts Vote has released their candidates’ Arts Report Card. 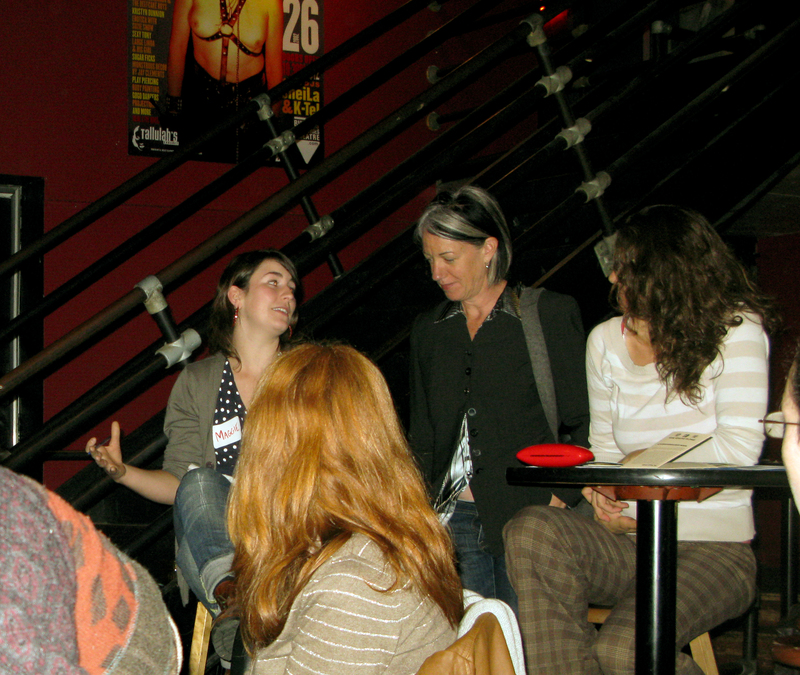 The next Neighbourhood Arts Network event will be on November 18, 2010. Presented by NAN and City of Toronto Arts Services, the topic is ‘Building a Movement for Social Change’ with Che Kothari, Executive Director of Manifesto. This entry was posted in Events and tagged advocacy, Andrew Suri, arts for children and youth, Arts Vote, Community Arts Action Plan, Jumblies Theatre, MABELLEarts, Nadira Pattison, Ontario Arts Council, Robin Pacific, Scarbrough Arts Council, Toronto Arts Council by Neighbourhood Arts Network. Bookmark the permalink.